Ever since I was born, and all throughout high school, my mother woke up to make our family breakfast before school. We were really lucky that way. Some mornings we just had cereal, but for the most part, we had really good breakfasts. Waffles, Cream of Wheat, eggs, oatmeal with toast, etc. On our birthdays, Mom made us pancakes. One pancake for each year we were old, and we were expected to eat all of them (she made them smaller as we grew older so that we could). 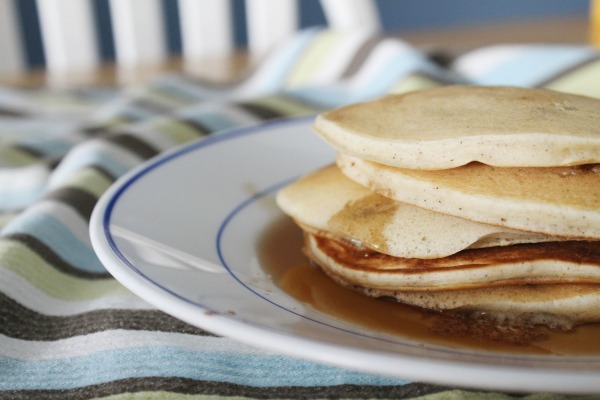 This week's favorite foods linkup is for breakfast, and I want to share a pancake recipe. This recipe is for Cinnamon Banana Pancakes and is the BEST way to wake up in the morning (although waffles are really good, too)! In a large bowl, whisk together flour, sugar, baking powder, soda, salt, and cinnamon. 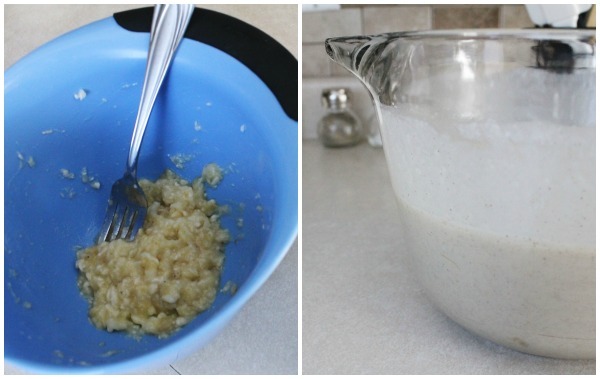 In a separate, smaller bowl, mash banana, then add eggs and buttermilk (for a buttermilk substitute, pour two tablespoons of white vinegar into a liquid measuring glass, then add milk until it reaches the two cup mark and let set for five minutes before adding to the mashed bananas and eggs). 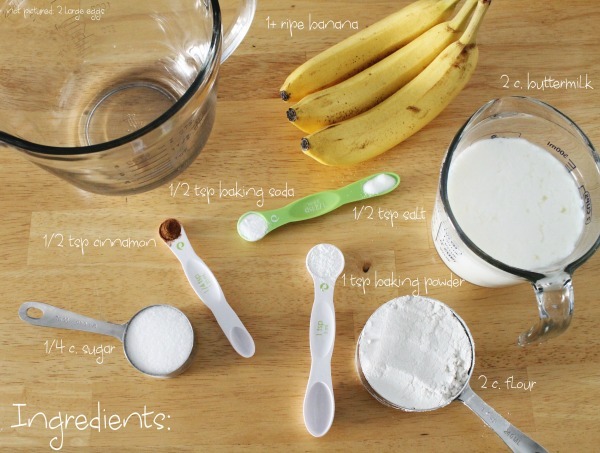 Pour the banana mixture into the larger bowl with flour mixture and whisk thoroughly until there are no streaks of flour mixture. 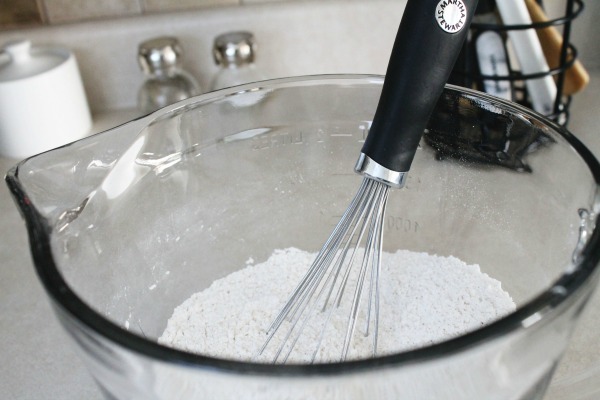 Use more flour to make mixture thicker, or more milk to make it thinner. Heat a skillet or griddle over medium heat. 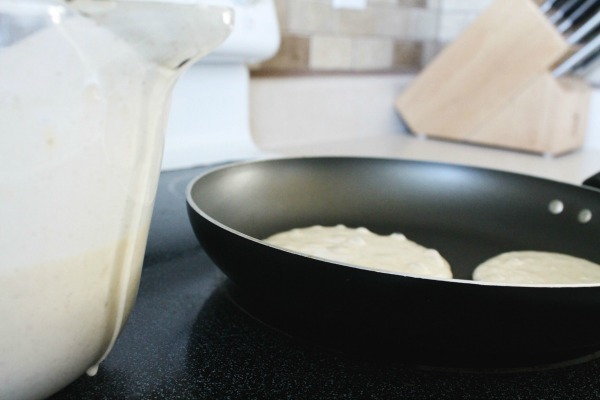 Pour batter onto skillet or griddle by 1/4 cups for large pancakes. 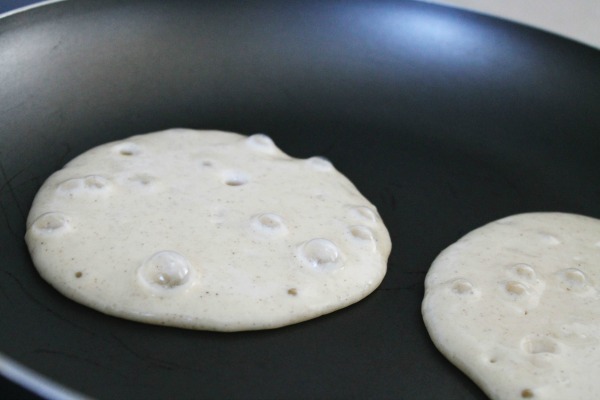 When the batter begins to bubble on the skillet, the pancake is ready to be flipped. When both sides of pancake are golden brown, the pancake is done. Serve immediately with maple syrup and/or peanut butter. What do you like to eat for breakfast? Grab a Favorite Foods linkup button and join in the fun! It's a great way to meet new friends and get new followers. Plus, I'll be viewing your recipes and compiling them into a Blogger's Favorites recipe download for anyone who wants it, so be sure to tell your friends! You must link the actual website of the recipe, not just your blog. You must paste the favorite foods button somewhere within the recipe post. You must share the recipe in the post that you link to, not just pictures of the outcome, because that's just mean! You have all week to linkup and I can't wait to see your recipes! Happy cooking!